This article was last updated Nov 28, 2018, but some terms and conditions may have changed or are no longer available. For the most accurate and up to date information please consult the terms and conditions found on the issuer website. The Ann Taylor family of stores is a popular, upscale women’s clothing retailer founded in 1954. The company is known for selling classic, high-end fashion at a price that doesn’t break the bank. Its stores offer customers two credit card options via Comenity Bank — Ann Taylor Card and Ann Taylor Mastercard. The first can only be used at Ann Taylor or its affiliated LOFT stores. The co-branded Mastercard can be used at both stores, along with anywhere Mastercard is accepted. We break down the Ann Taylor Mastercard’s features below. We’ll also take a look at the Blue Cash Everyday® Card from American Express, which offers more points for spending at department stores that sell apparel similar to Ann Taylor, to help you determine which card could be a better fit. The card’s sign-up bonus is 15% off your entire purchase for purchases made immediately upon approval. Earn 5 rewards points per dollar spent on all of your purchases at Ann Taylor and their family of stores, 2 rewards points per dollar spent on gas and grocery purchases, and earn 1 rewards point per dollar spent on all other purchases. It offers higher points per $1 spent in the popular gas and grocery categories — plus it comes with a $0 annual fee. The first time you use the card, you’ll earn a $20 reward card. And every time you earn 2,000 points on the Ann Taylor Mastercard, you’ll get another $20 reward card. You’ll also earn a $20 reward card after your first purchase outside of Ann Taylor or LOFT. Other perks include a $15 birthday gift and an extra 15% off the first Tuesday of every month that can be combined with any in-store promotions and offers. You’ll also receive 15% off when you open and use the Ann Taylor Mastercard at Ann Taylor, AnnTaylor.com, Ann Taylor Factory Store, LOFT, LOFT.com and LOFT Outlet. There are no limits on the points you can earn on the card. You need to be a regular shopper at the chain to reap the most benefits from the card because you can only redeem your reward points at Ann Taylor, Ann Taylor Factory Store, LOFT, LOFT Outlet and Lou & Grey stores in the U.S., Puerto Rico and online at anntaylor.com, loft.com and louandgrey.com. Your points are converted into a rewards certificate that can be used at the stores above. Under the current points system, you have to spend $400 on the card in Ann Taylor and related stores to earn 2,000 points. That’s a lot to spend to convert those points into just $20 in rewards. But changes are coming to the Ann Taylor Mastercard effective Feb. 5, 2019. That’s when cardholders will receive a $5 reward for every 500 points earned. So you’ll have to spend $100 at an Ann Taylor store to earn that $5. And you’ll still have to earn 2,000 points to get the $20 reward. Cardmembers currently receive their birthday offer via postcard if they used their credit card in the past 12 months, as long as their information is current. Now, birthday offers will be sent only if you have a valid email on file. A caveat: you can only earn up to $300 in rewards per billing cycle. And don’t forget to spend it, because once the certificate is issued, you have 100 days to use it before it expires. And you’ll forfeit the certificate if you happen to return the merchandise. Points expire 36 months after they’re posted to your balance. If you’re looking for perks such as travel insurance, purchase protections or concierge service, you won’t get them with the Ann Taylor Mastercard. 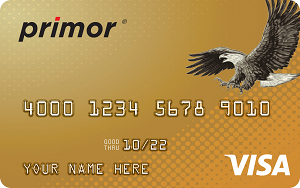 And if you use this card outside of the country, be prepared to pay a 3% foreign transaction fee every time. And don’t ignore the high APR of 26.74% variable. As with most retail cards, it’s best not to carry a balance as the interest charges will add up quickly and negate the value of any rewards associated with the card. If you’re looking to get more bang for your credit card buck, don’t want to be tied down to one store brand, but still want to earn more points for spending in stores, this card may be a good alternative to the Ann Taylor Mastercard. The welcome offer allows cardmembers to earn $150 statement credit after you spend $1,000 in purchases on your new Card within the first 3 months. This bonus is higher than what’s offered by the Ann Taylor Mastercard. The card has a $0 annual fee. But it also comes with a foreign transaction fee of 2.7% of each transaction after conversion to US dollars. Check out our roundup of Best No Foreign Transaction Fee Credit Cards here. Cardmembers earn 3% cash back at U.S. supermarkets (on up to $6,000 per year in purchases, then 1%). 2% cash back at U.S. gas stations and at select U.S. department stores. 1% cash back on other purchases. That’s more cash back than the Ann Taylor Mastercard at supermarkets, but the same for gas. Cash back can be redeemed for a credit statement, gift cards or shopping at major retailers. If you want to earn cash back at stores outside the Ann Taylor family, the Blue Cash Everyday® Card from American Express allows you to do that at department stores such as Bloomingdale’s, J.C. Penney, Kohl’s, Nordstrom and Saks Fifth Avenue, but at a lower rate than the Ann Taylor Mastercard. If you spend $250 on the Blue Cash Everyday® Card from American Express, you’ll earn $5 in cashback rewards. The Blue Cash Everyday® Card from American Express also carries more perks, including car rental loss and damage insurance, travel accident insurance, access to the Global Assist hotline, roadside assistance, extended warranty, return protection, purchase protection and early access to ticket presales and cardmember-only events. Check out our review of the Blue Cash Everyday® Card from American Express here. Rewards Earn 5 rewards points per dollar spent on all of your purchases at Ann Taylor and their family of stores, 2 rewards points per dollar spent on gas and grocery purchases, and earn 1 rewards point per dollar spent on all other purchases 3% cash back at U.S. supermarkets (on up to $6,000 per year in purchases, then 1%). 2% cash back at U.S. gas stations and at select U.S. department stores. 1% cash back on other purchases. Sign-up Bonus/Welcome Offer 15% off your entire purchase for purchases made immediately upon approval $150 statement credit after you spend $1,000 in purchases on your new Card within the first 3 months. Foreign Transaction Fee 3% 2.7% of each transaction after conversion to US dollars. Although Ann Taylor is a great clothing retailer, there are other credit card options you may want to consider other than its co-branded Mastercard. Ann Taylor brands have great sales both in store and online, so the spending requirement to earn a $20 certificate doesn’t seem like a big value. And, although we appreciate the nice $15 birthday gift, this is a pretty standard offering at most clothing retailers. Cards like the Blue Cash Everyday® Card from American Express offer cash back in specific categories where you’re not restricted to redeeming it at a single store chain. And you can apply that cash back directly toward your balance. If you’re a big fan of Ann Taylor and its sister stores and shop there regularly, this card could be an option, despite its limits. But overall, there are not enough benefits to make it an attractive offer like the Blue Cash Everyday® Card from American Express. You can also check out our top picks for the best cashback credit cards for more alternatives.